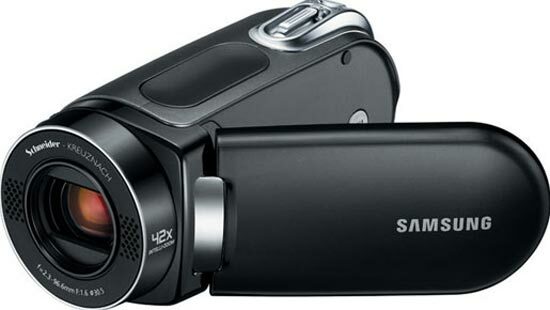 Samsung has unveiled a new camcorder designed to be used with YouTube, the Samsung SMX-F34. 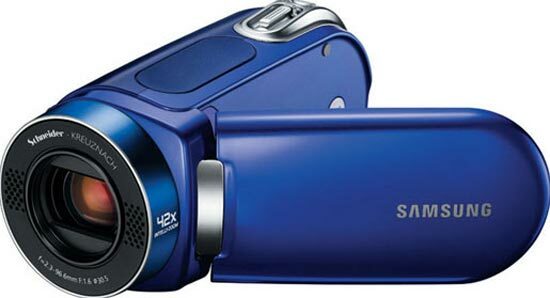 The Samsung SMX-F34 comes with 16GB of storage, which can be expanded via the built in SD/SDHC card slot, plus a built in 2.7 inch LCD screen, and it can also be used as a digital camera for taking still photos. It features a 680k pixel CCD sensor, which captures video at a resolution of 720 x 480, it also features a built in YouTube recording mode, which will capture videos for easy uploading to YouTube without any editing. The Samsung SMX-F34 comes in a choice of 3 colours, red, blue and black, it will go on sale in spring, no word on pricing as yet.